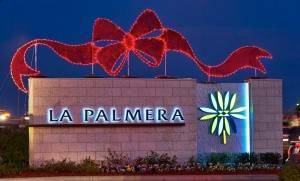 2013 was another great year for Downtown Decorations. 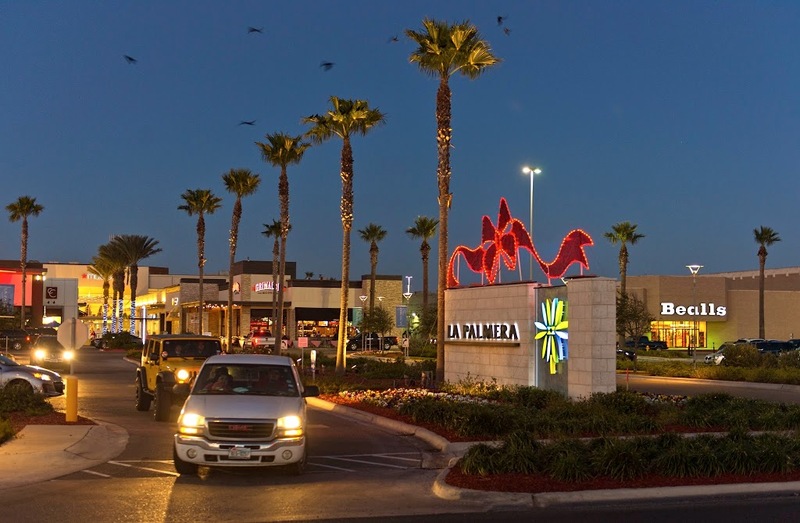 We were lucky enough to work on some really unique projects, including one for La Palmera shopping center in Corpus Christi, Texas. 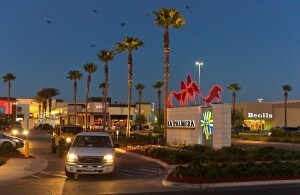 The coastal city is located in the southern region of Texas and has a metro population of almost half a million. The city is also home to the Port of Corpus Christi, which is the 5th largest port in the entire country. 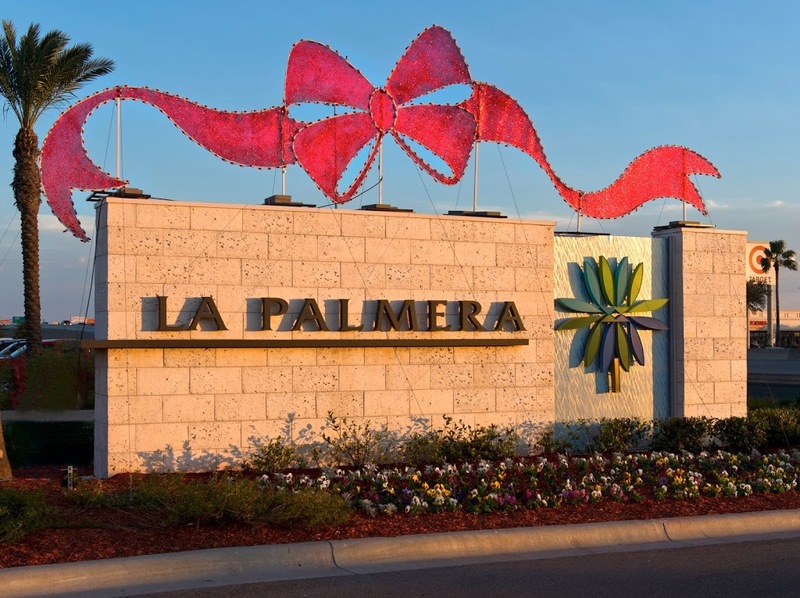 Residents and tourists looking for the latest in fashion, or a nice restaurant to grab a bite to eat, flock to La Palmera. The 1,017,704 sq. 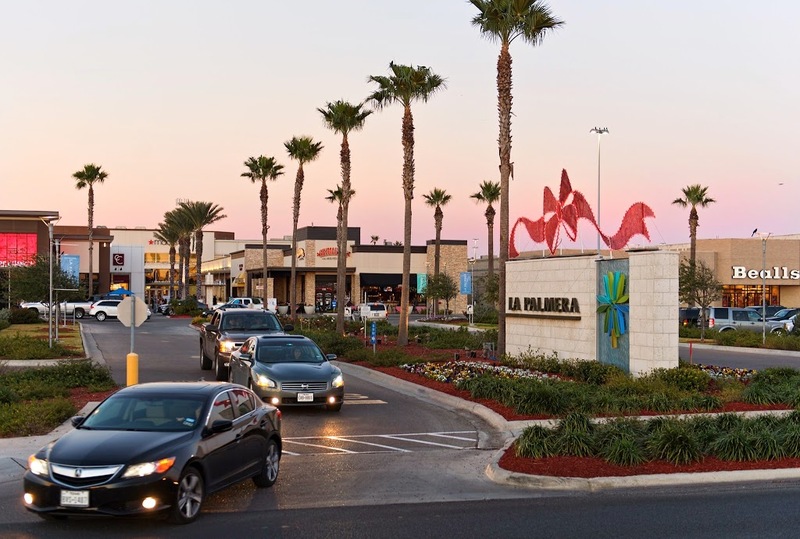 ft. super-regional mall just went through a $50 million renovation, giving it an updated look and fabulous new features, including a design that conforms to U.S. Green Council guidelines. 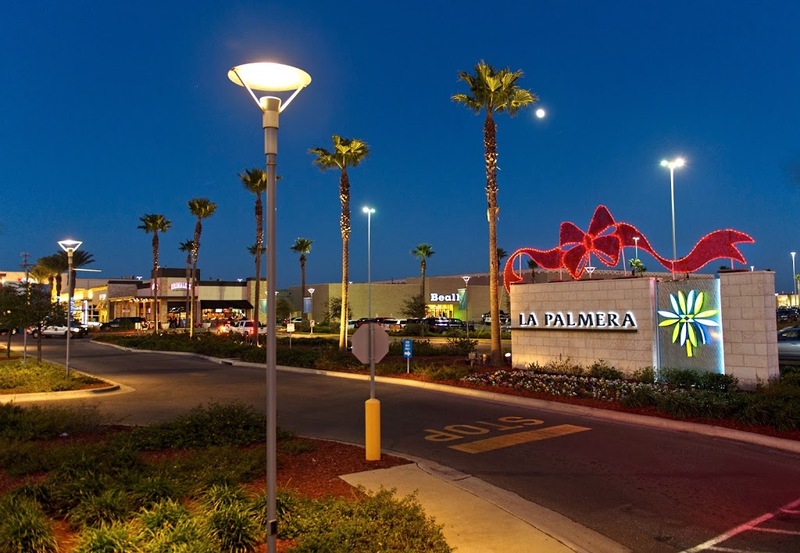 It is the first mall in the United State to be pre-certified Leadership in Energy and Environmental Design-CS Silver, the third highest designation available. At Downtown Decorations, we also take pride in going green and do all we can to create environmentally conscious designs. 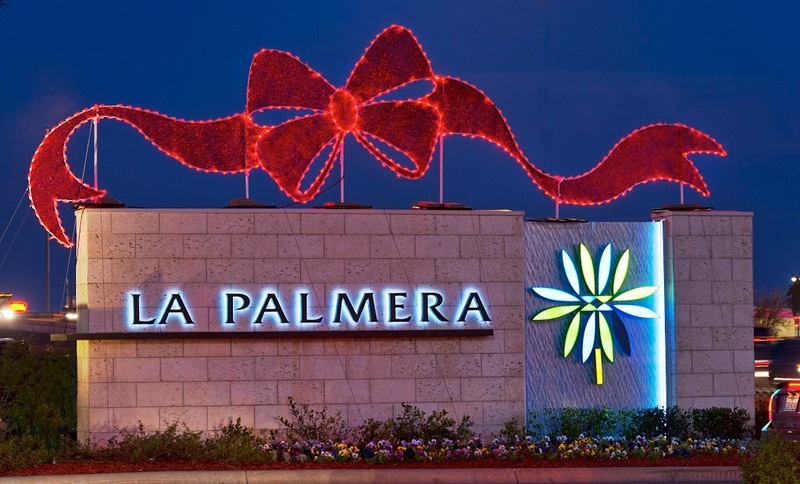 For a majority of our projects, we use energy saving LED lights, which use 85% less energy than incandescent bulbs. Many of our products are also made with 60% recycled steel. The glitter mesh sign topper that we designed for La Palmera utilizes both. 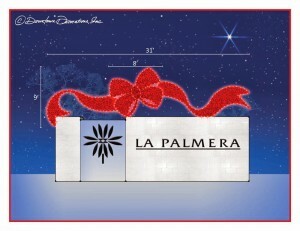 On top of that, the product was custom-designed to fit on top of the mall’s entrance sign. As you can see in the pictures, the tail notch fits directly on top of the sign. The finished product is not only eco-friendly, but a stylist and sophisticated addition to the mall.